This is technically as Chinese inspired as it is Vietnamese. Either way it is low prep, delicious and fun for the kids who like any dish where they compile their own servings. Cover pork in char siu sauce and place in a baking tray. Roast for 1 hour or until juices run clear. 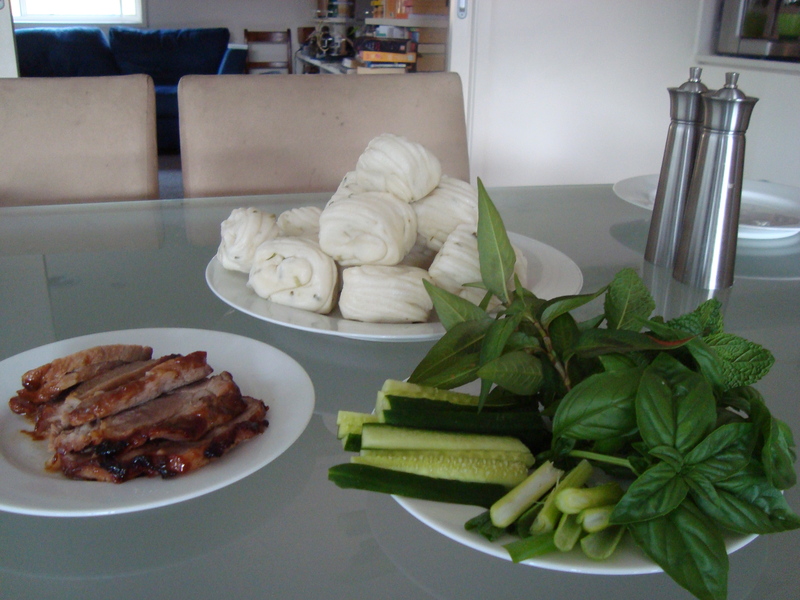 Steam buns for 8 – 10 minutes. Slice pork and place on a serving plate. Arrange spring onions and herbs on a serving plate. 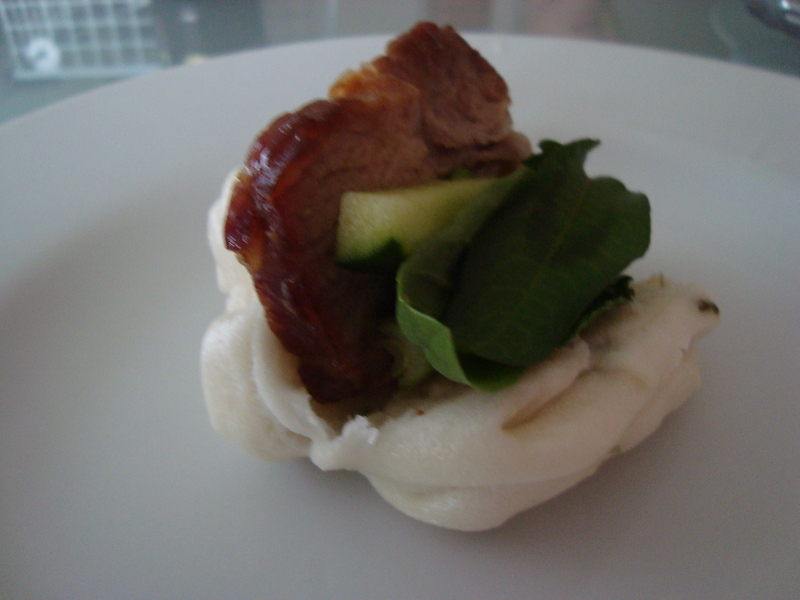 Place buns on a serving plate.